Pilates exercises can achieve changes in your body composition. Not all exercise regimes can change your body composition which put basically is changing your muscle to fat ratio in your body. Lean muscle burns more calories than fat, changes your shape and helps your body work much more efficiently. So many people come to me with non-specific lower back pain. Pilates is one of the best ways to both strengthen lower back muscles and of course your core muscles. Posture, weak core and lack of flexibility can all play a huge part in lower back pain. Pilates works on all of these three aspects. It is particularly important with the amount of time people spend sitting down at their desks, driving or even relaxing on the sofa that they work on their posture. A huge element in bad postural alignment is having a weak core. 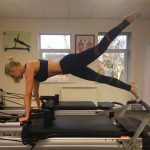 Pilates focuses a huge amount on strengthening your core, a lot of people think they are doing correct core or abdominal exercises when in fact they are not engaging their muscles properly at all. Thankfully the opinion of Pilates has changed somewhat over the last number of years but when I opened up first people thought it was for ‘older women’ and ‘pregnant women’. That it was an easy option and pretty much consisted of stretching and breathing. 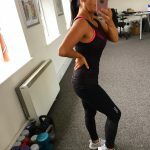 Well it is not an easy option at all and whilst of course two important elements of Pilates are stretching and breathing, they are just two parts of the big picture. Our class is full body conditioning system based on resistance training. A lot of people are very surprised when they do their first class as they often are sweating a lot and their muscles start shaking not long after they start the exercises. I very often hear from people that they feel they are using muscles they have never felt before. Then speaking to them afterwards they are often even more surprised at the DOMS they feel when the exercises we do are slow and controlled but they are super effective and intensive. Whilst there are a growing number of men doing Pilates, which is brilliant, there are still a sizable number of men who think Pilates is just for women. Just for the record it absolutely is not. Pilates is an important fitness system for both men and women. The focus on flexibility is very important in injury prevention, it helps prevent muscle strains as it increases your range of motion. Also building a stronger core helps prevent injuries and it also makes you stronger all through your body as having a strong core means having a strong powerhouse or frame of your body. Pilates can also challenge men in different ways to a lot of other workouts because it focuses on stabilizing your muscles. Also don’t forget that the inventor of Pilates was a man – Joseph Pilates. Some of the men who do Pilates are Gareth Bale, David Beckham, Jake Arrieta, Lebron James, Cristiano Ronaldo, Andy Murray, Tiger Woods, Rory McIlroy, The Irish Rugby Team, Dublin GAA team, Leinster Rugby Team, Bradley Wiggins, Kobe Bryant and Roger Federer. 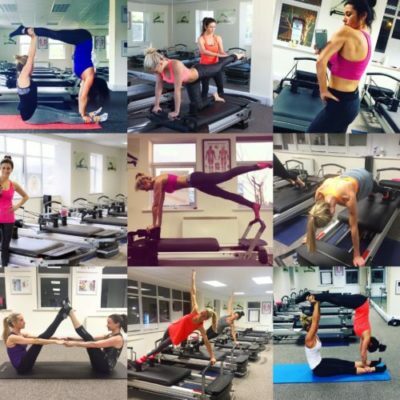 Keri Walsh Jennings, Lolo Jones, Missy Franklin, Victoria Pendleton, Serena Williams, Annika Sorenstam, Steph Houghton, Jessica Ennis Hill, Ronda Rousey, Caroline Wozniacki and Becky Lynch (who actually worked with us in Pilates Plus Dublin) are all Pilates fans. It helps them with injury prevention as they work on strength, mobility, flexibility and core strength. Even if you aren’t a world-class sports person but you do engage in sport you will notice such a difference to your strength and conditioning. Our clients who play golf, tennis, football, GAA and hockey or who ski or run are delighted with the positive differences it has made for them. These are only five of the many, many great things about Pilates.